EIRL | NEXT MEDICAL VISION | LPixel Inc.
to catalyze the coming generation of medical diagnosis. EIRL is the next medical image diagnostic support technology to catalyze the coming generation of medical diagnosis. Together with the constant advancements in modalities, comes the challenges for doctors to interpret an exponentially large number of images for diagnosis. EIRL aims to provide an accurate, accelerated and streamlined solution for medical diagnosis by analyzing a variety of information required for diagnosis. EIRL will be the closest partner to all doctors, and serve as another powerful set of eyes to provide top quality medical care. To all doctors around the world, EIRL. *The listed themes are under development, and cannot be used as a medical device. 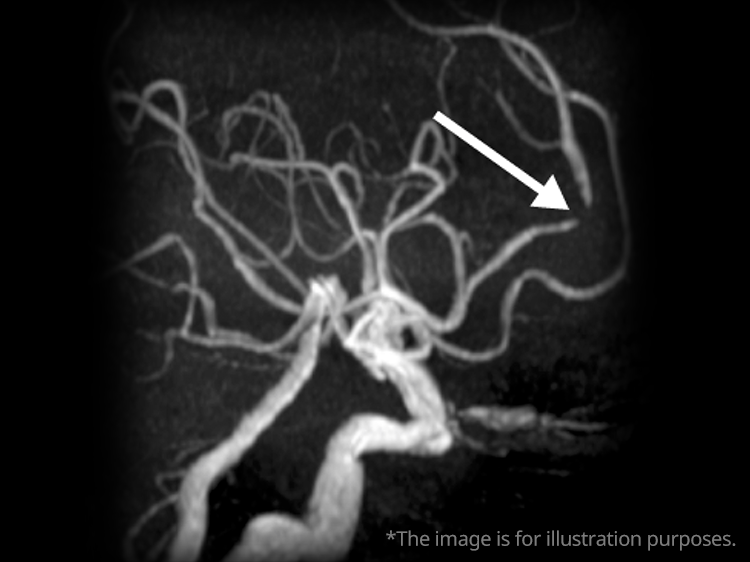 With aims to keep the number of overlooked aneurysms to a minimum, our technology works on MRA scans to detect patterns that are similar to vascular deformations and unruptured brain aneurysms. 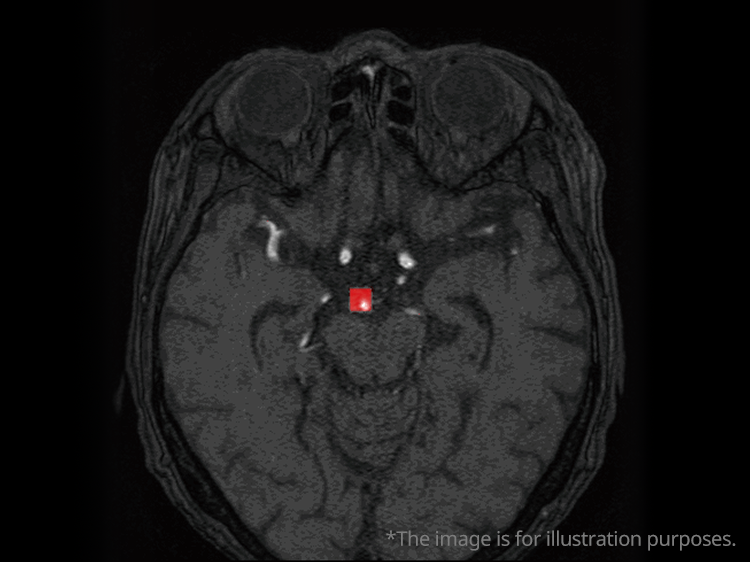 In efforts to reduce the number of misdiagnosed cases of intracranial stenosis, our technology conducts a careful analysis of MRA scans to detect patterns that are similar to narrowed arteries. 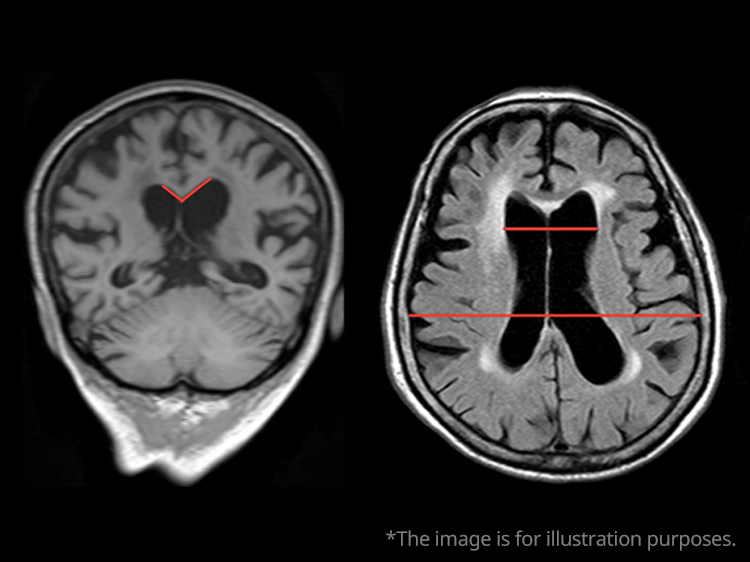 The Evans index and callosal angle are both very important markers for the diagnosis of Disproportionately Enlarged Subarachnoid Space Hydrocephalus (DESH) among patients with idiopathic normal pressure hydrocephalus (iNPH). Our goal is to develop the technologies capable of automatically calculating the Evans index and the callosal angle. 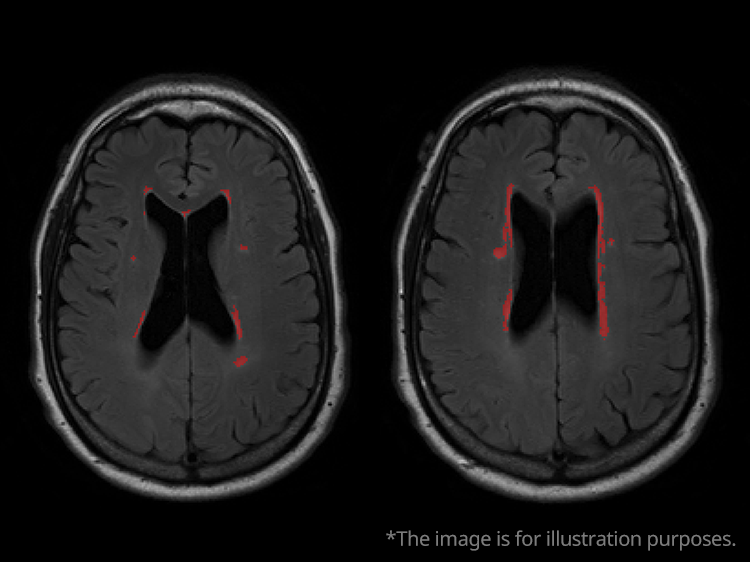 This technology aims to analyze brain MRI scans to detect areas that are suspected to contain white matter lesions. 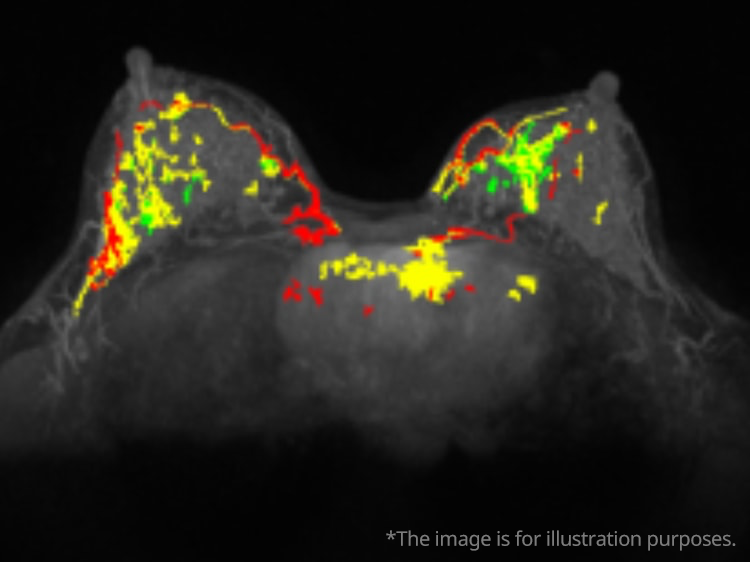 This technology conducts a time-intensity curve (TIC) analysis for MRI scans of the breasts. Our goal is to be able to augment machine learning technology to identify the degree of malignancy of the tumor. 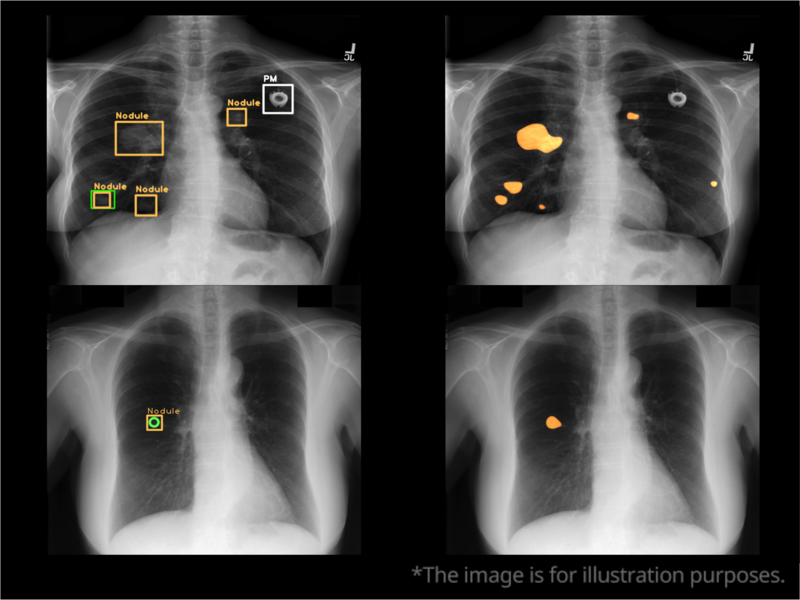 Trained with images reviewed by radiologists, this technology aims to streamline the chest X-ray screening process by instantly identifying the suspicious regions. 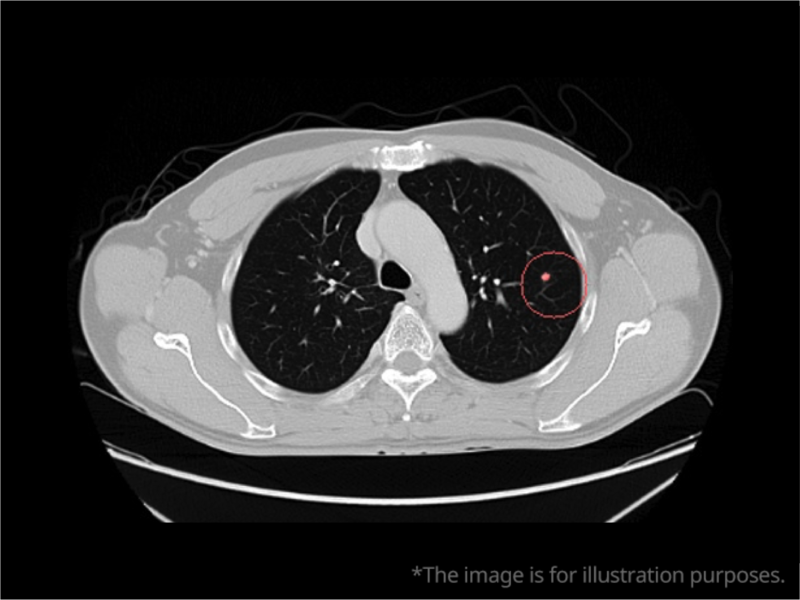 Currently under development with the National Cancer Center in Japan, this cutting edge technology targets lung cancer CT scans to automatically identify the type of lung cancer and gene mutation. Our goal is to reduce the need for highly invasive biopsies and open doors to imaging-based treatment options for patients. 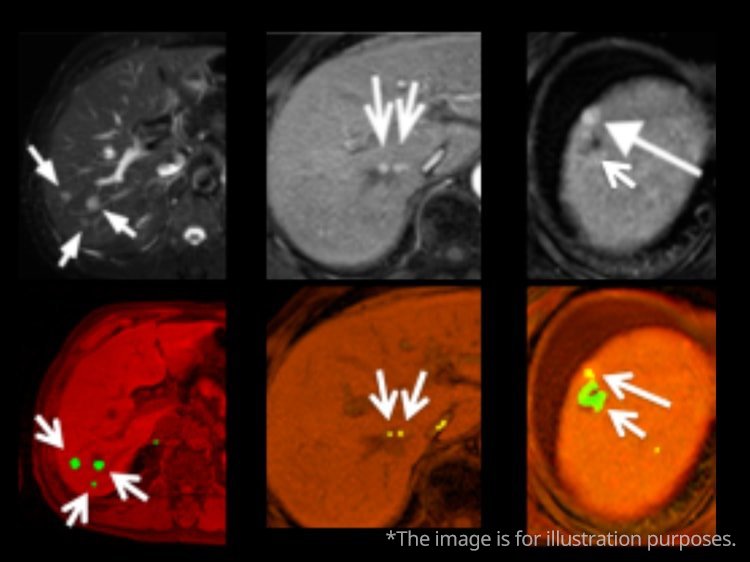 This technology aims to analyze and monitor MRI scans of the liver over a period of time to look for regions that are suspected to contain tumors. 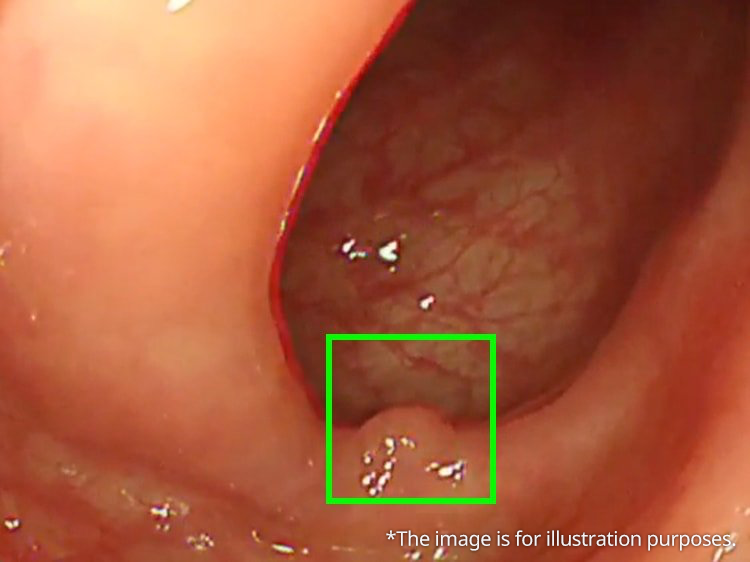 With aims to decrease the number of overlooked lesions, this technology analyzes the examination results of the colonoscopy images in real time and displays the areas in the colon where the prevalence of lesions, such as tumors, are high. This technology is being developed in collaboration with the Jikei University School of Medicine in Tokyo. *The images used in the demo video was provided by Jikei University. 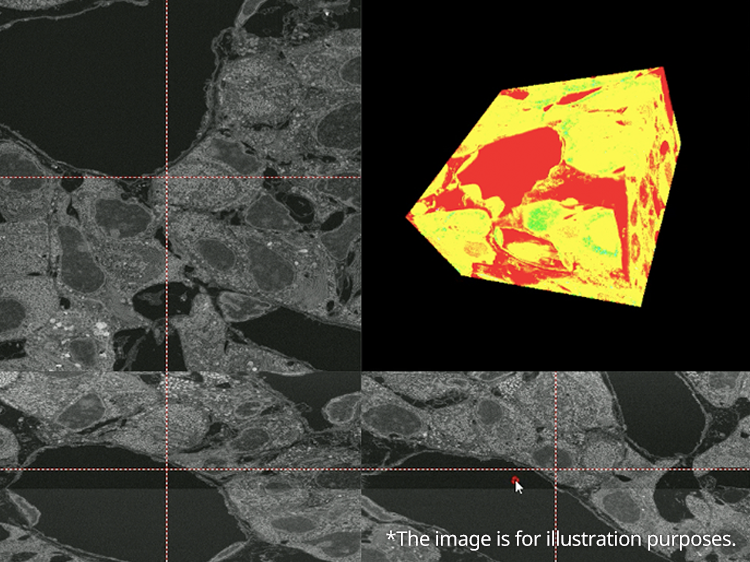 Three-dimensional construction of pathological images is performed by interpolation processing and positioning, making it possible to track the three-dimensional structure of the cell. Our aim is to integrate deep learning to this three-dimensional information to create a powerful diagnostic tool that can help to decrease the number of overlooked lesions. This project is led by the Ministry of Economy, Trade and Industry in Japan as part of the Strategic Core Technology Advancement Program. LPixel is working in collaboration with TCK Co., Ltd. and others. *The pathological samples used in the demo video was provided by Kurume University. EIRL was born between LPixel and Eir*, the Norse goddess associated with healing and medical skill. The logo illustrates the unison of doctors and EIRL, and the circle in the center represents the overlapping eyes of doctors and EIRL seeking for the one and only truth. EIRL will be a vital presence in the medical field, working alongside and supporting doctors in future medical diagnosis. *Eir, meaning “help” or “mercy” in Old Norse¹, is a goddess that belonged to the Æsir race in Norse mythology². Eir was described as the greatest physician in Elder Edda. As a valkyrie, Eir was associated with the ability to resurrect the dead. In addition to the mastery in medicine, Eir was knowledgeable in herbal remedies and was said to have possessed the powers to revive the dead. Eir later became the patroness of medical and healthcare workers.